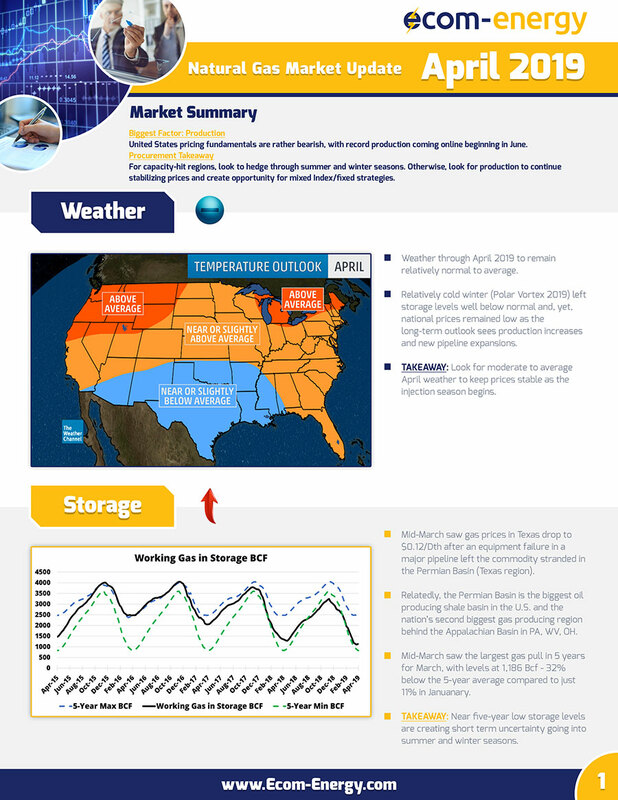 Renewable Energy - Solar, Fuel Cell, Battery, Cogen | Ecom-Energy, Inc.
As healthcare systems continue to merge and expand, the ability to systematically assess energy and environmental stewardship across facilities grows more difficult. With an ever-changing energy landscape impacted by regulatory, legislative, geopolitical, and technological factors, staying proactive becomes daunting. Ensuring that facilities are sharing best practices is challenging enough; but add to the mix the need to eliminate disjointed efforts by aggregating where applicable, and the requirement for a formal Corporate Energy Strategy (CES) becomes obvious. Ecom-Energy’s Corporate Energy Strategies (CES) assist small and large healthcare systems to achieve energy harmony. By bringing facilities together, healthcare organizations can systematically understand and control their energy use and cost. Each Corporate Energy Strategy is unique and custom tailored to the needs and goals of your system. Often comprised of dozens of sub-tasks, Ecom-Energy’s Corporate Energy Strategies are powered by our four core services: EnerVisor Software, Energy Procurement, Renewable Energy & Onsite Generation, and Technical Services. Ecom-Energy’s EnerVisor Software is designed to make energy information actionable, and your job easier. There are hundreds of reporting possibilities in EnerVisor Software, including charts, graphs, and custom spreadsheets. By tracking data at the line item level, EnerVisor Software provides the insight you need to take control of your gas, power, and water profiles. Procuring energy in an unpredictable market has become a challenge (and savings opportunity) for healthcare organizations that are under continuous pressure to reduce costs and risks while providing a safe and productive environment. Additionally, navigating changing legislation while accurately comparing apples-to-apples prices on risk-appropriate products can prove overbearing, time-consuming, and, if not done properly, costly. Ecom-Energy is the independent expert on energy procurement in the healthcare industry. We have assisted customers in the procurement of electricity and natural gas in every major region of the United States. We know the ins and outs of the deregulated markets and help our customers assess their internal risk to provide a product that best suits their needs. Suppliers like us because they know they will get a fair shot and customers love us because they know their energy portfolio is always proactively managed. As costs of electricity, aging infrastructure, and subsequent lack of grid reliability continue to increase, organizations need to consider cost-reduction and reliability options. This is primarily done through the installation of renewable energy and onsite generation technologies. Most executives and facility managers are not experts in renewable energy and may not be able to provide optimum design, operational, and economic insight. With a myriad of traditional and developing technologies, which is best for your facility? Most renewable energy equipment manufacturers and “developers” offer a wide range of services including engineering; procurement and construction contracts; operation and maintenance services; and build-own-operate or build-own-operate-transfer services. It is difficult to assess the advantages and limitations of these offerings. Ecom-Energy has resident experts that analyze the technical and cost characteristics of renewable energy and onsite generation technologies. As an independent energy consulting firm, we have no ties to any specific technology or vendor – only to the customer. 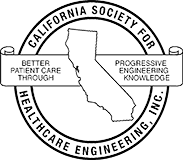 We have extensive experience navigating utility rules, regulations, and environmental agencies. In addition, Ecom-Energy conducts parametric analyses and sensitivity studies to ensure optimal sizing and operation of a system. Our team will assess the sensitivity of economic and financial results to variations in key assumptions. Keeping abreast of the changes in the energy industry and understanding how these changes will impact facility operations is a daunting task for healthcare organizations. Accurate, objective, timely information is needed to make informed decisions that will help control energy-related costs. Ecom-Energy’s technical consulting services quantify supply-side and demand-side energy cost-saving opportunities. Taking customers’ specific operational requirements into account, Ecom-Energy develops and manages the implementation of energy cost-reduction strategies to achieve financial and usage reduction goals. We offer a full suite of services to independently evaluate facility operations, budgets, project economics, and equipment, as well as perform and manage RFPs for energy efficiency implementation. U.S. pricing fundamentals are rather bearish, with record production coming online beginning in June. For capacity-hit regions, look to hedge through summer and winter seasons. Otherwise, look for production to continue stabilizing prices and create opportunity for mixed Index/fixed strategies. Is a certain technology better suited for my facility than another? What are the up and coming technologies? How do I know the correct sizing for the system? An oversized system may mean more revenue for the vendor. What is the standard cost per kilowatt hour of the available options? What contract terms and conditions would adversely affect me if not revised? How do you apply onsite generation solutions to a campus that is undergoing master planning? Is Net Metering good for me? As an energy ally to the nation’s premier healthcare organizations for over 20 years, Ecom-Energy is keenly aware of market trends, new technologies, reputable vendors, common pitfalls, and financial tools. These assessments provide a high-level financial look at a particular technology at your facility. Developed as an investment-grade report, Ecom-Energy’s detailed feasibility studies can serve as the bid specification document to be used during RFPs and show the true impact of a given technology. Ecom-Energy will work with your healthcare system to select suppliers and develop, issue, and manage the RFP for renewable energy and/or onsite generation technology. As an unbiased energy consultant, Ecom-Energy ensures an apples-to-apples look at all bids and verifies that inputs and assumptions match actual facility inputs and industry-standard definitions. Is a capital purchase or power purchase agreement (PPA) the proper financing mechanism for your organization? Is there an alternate means by which to acquire the system? Ecom-Energy will help your team understand the economic impact of various financial approaches to the project. Your legal team serves a critical function in your organization, but do they know industry-standard energy terms and conditions? Do they understand or have the time to research technical terminology? Ecom-Energy works on your behalf to negotiate and ensure favorable terms and conditions for your facility. Do not overlook the impact of a properly negotiated contract! After a contract has been awarded, Ecom-Energy’s owner’s reps sit on your side of the table to oversee project and contract obligations during design, construction, installation, and commissioning. For example, is the vendor installing the same model solar panel it agreed to under contract? Our team ensures that the project progresses as planned. 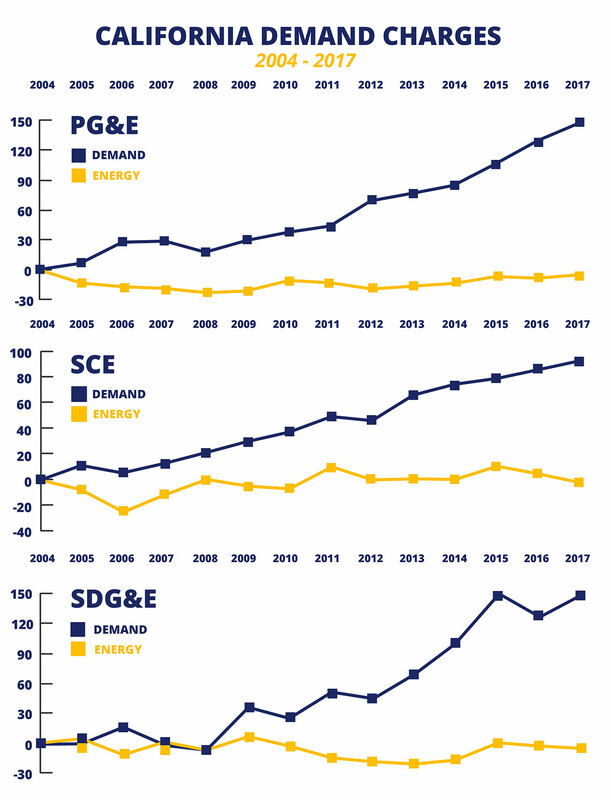 As renewable energy and energy efficiency projects grow across the state, California’s largest utilities have been forced to offset revenue reduction in creative ways. Adjust rate schedules to derive the bulk of their revenue from demand (kW) charges instead of generation (kWh) fees. The neighboring graph highlights this trend in dramatic fashion. 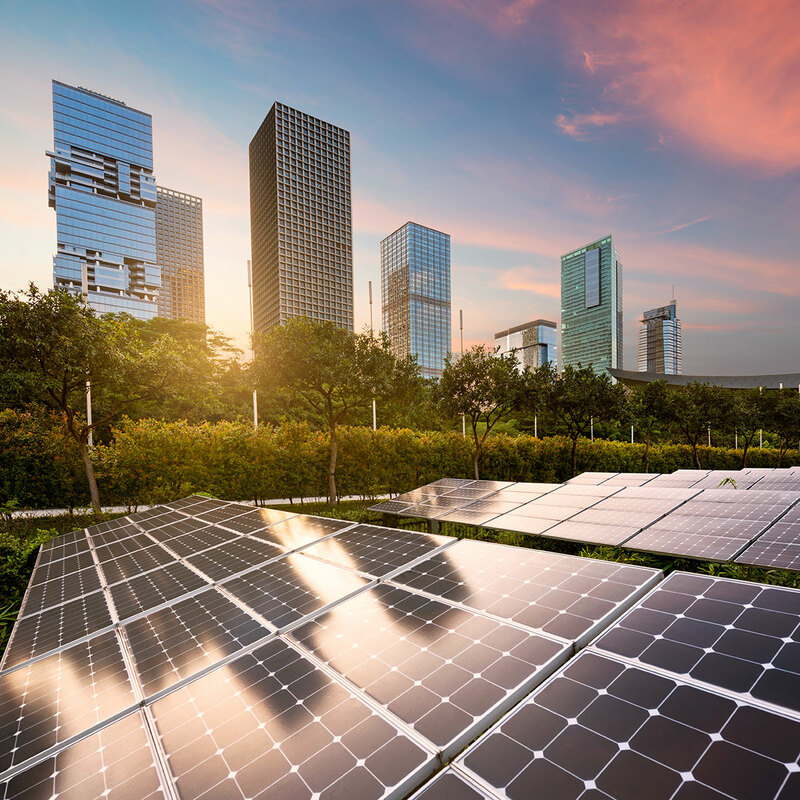 Renewable energy and onsite generation technologies can help mitigate these constantly rising costs to ensure your facility has a long term solution for energy management. As part of Prime Healthcare’s Sustainable Resource Initiative, Desert Valley Hospital installed a 742 kW solar PV array. The simple payback is 3.16 years. 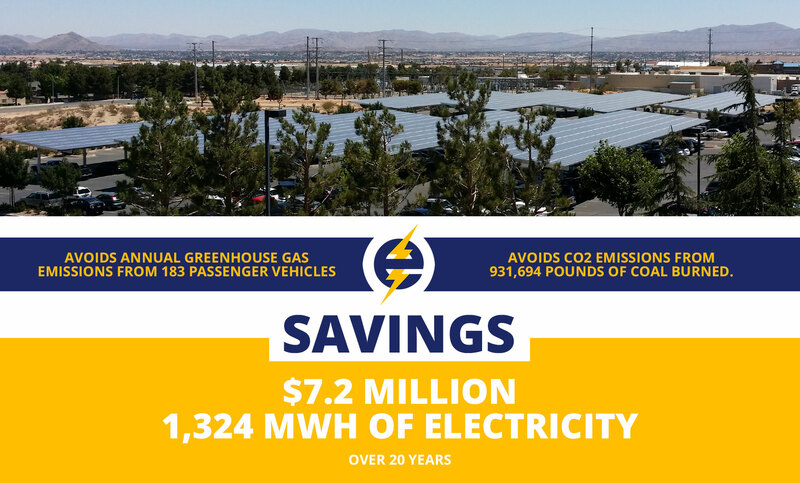 By hosting this solar system, Ecom-Energy and Prime Healthcare have provided the community with reliable healthcare and long-lasting environmental benefits. 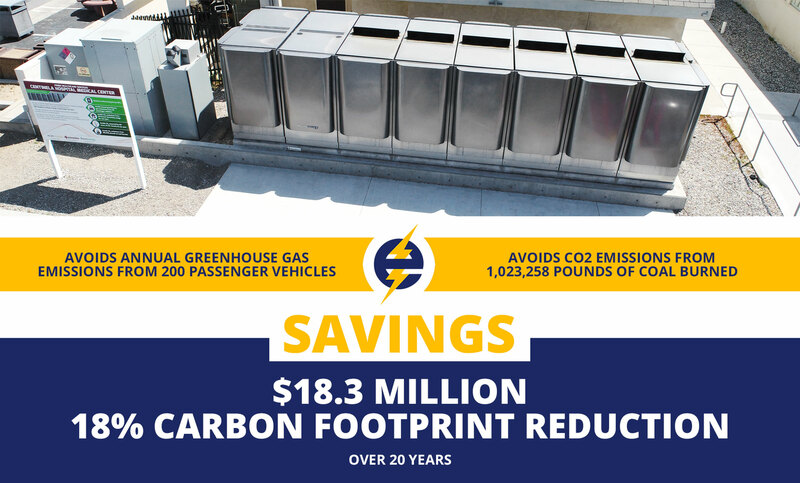 As part of Prime Healthcare’s Sustainable Resource Initiative, Sherman Oaks Hospital, San Dimas Community Hospital, Paradise Valley Hospital, and Montclair Hospital Medical Center installed a combined 1.45 MW of all-electric, solid oxide fuel cells. The portfolio was financed via a 20-year Power Purchase Agreement (PPA). 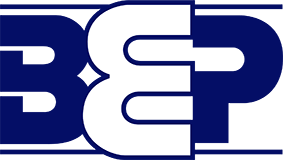 Ecom-Energy’s expert staff includes multiple Renewable Energy Professionals (REP™) as certified by the Association of Energy Engineers (AEE). 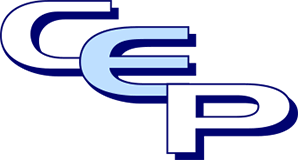 The Renewable Energy Professional (REP™) certification is designed to recognize the expertise and experience of professionals involved in the specification and application of renewable and alternative energy technologies, assessment of renewable energy projects, and development of achievable low-carbon and sustainability goals for organizations. 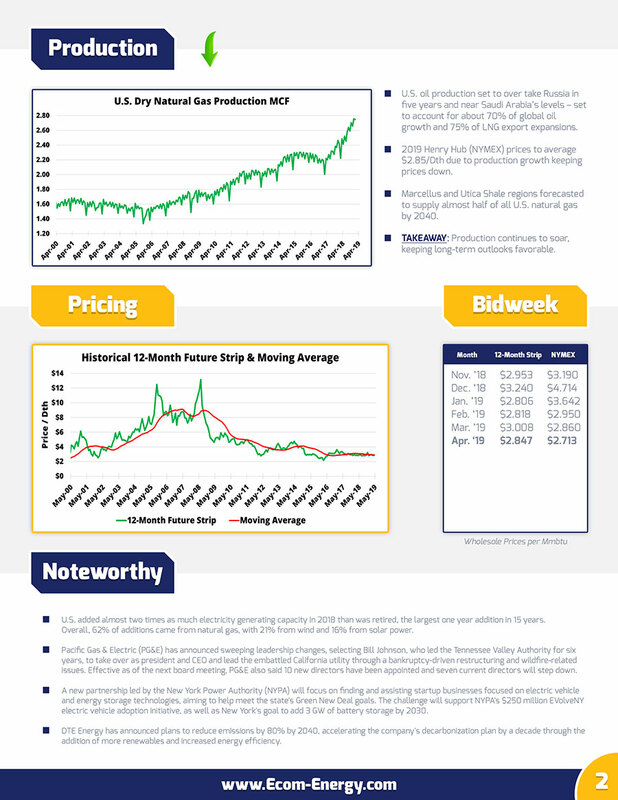 Click the button below to join Ecom-Energy's FREE newsletter for once-weekly industry updates and timely market insights. Enter your details below to join Ecom-Energy's FREE newsletter for once-weekly industry updates and timely market insights.